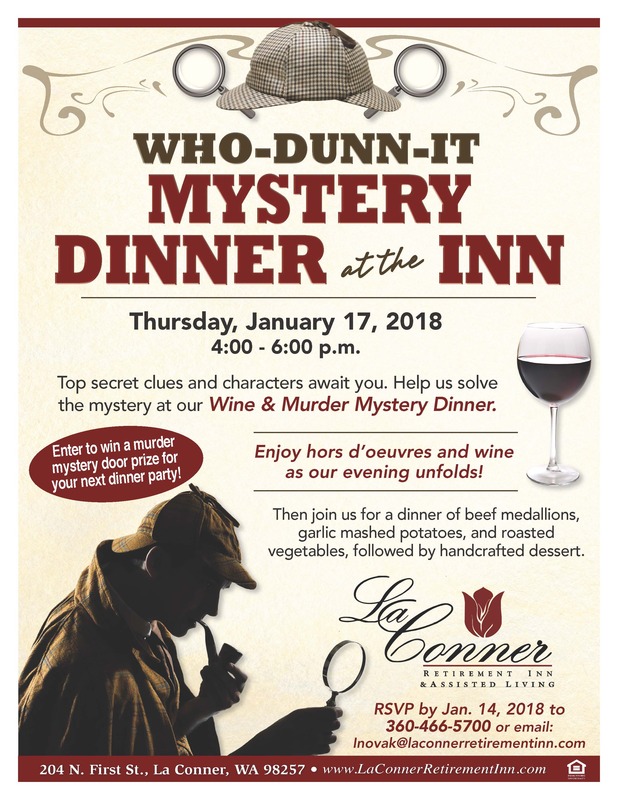 the mystery at our Wine & Murder Mystery Dinner. Enter to win a murder mystery door prize for your next dinner party! Enjoy hors d’oeuvres and wine as our evening unfolds! Then join us for a dinner of beef medallions, garlic mashed potatoes, and roasted vegetables, followed by handcrafted dessert.